Your Online Source for all your Flag, Pennant, and Flag Pole Needs! When you’re in the market for custom flags for your business or organization, there’s only one best place to look out for. At WestCoastFlags, we offer the variety, quality service and custom features at an cost effective pricing. Plus, as a family owned business we understand the need for quality and value. That’s why we always offer the lowest prices available on custom printed flags such as pennant flags, feather flags, custom designs and more. When you select West Coast Flags for your custom flag order, you’ll be dealing with a business that’s been around since 1983. Since our inception, we have dedicated ourselves to offering our clients the widest selection of custom flags available anywhere. We back up our amazing selection with service customers can count on. Our customization work includes custom printing and sewn on letters to ensure you get just the right design for your flags. Flags – Our flag selection is second to none. We offer a wide selection of styles to create custom flag designs, message flags, attention flags, flutter designs, feather flags and more. If you’d prefer a ready-made design, we also offer American flags, U.S. state flags and military flags, as well. No matter what size or style you’re looking for in a custom flag, chances are we have it. Pennant flags – We also offer an extensive selection of pennant flags. Our product line includes metallic, checker, patriotic, authorized dealer, fringe style and many other designs. Just browse our selection to find the right pennants for your business, organization or special event. Banners – In addition to custom flag designs, we also carry a wide selection of banners for indoor and outdoor use. We offer digital vinyl, digital balloon, confetti, fluorescent and even ground banners. 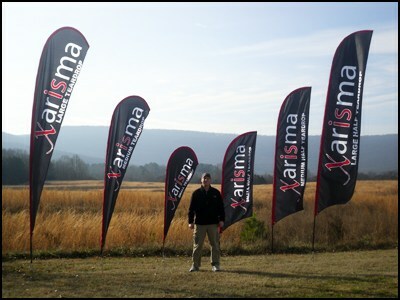 Flag poles – If you need proper poles to display your custom flags, we’ve got you covered. We offer a selection of designs for indoor use and also many outdoor models for mounting American flags, tear drop designs and more. When you need to place a custom flag order, you want to work with a company you can rely on to produce only the best. At West Coast Flags, our longevity in the business speaks to our dedication to customer service and our commitment to providing customers with the personalized service they deserve. To show our commitment to customers, we offer free shipping on all flag orders within the United States and work hard to make sure all orders ship as quickly as possible. Pennant strings come with discounted shipping or no shipping charges at all. At West Coast Flags, you are our number one priority. To explore our selection of custom flags, pennants, banners and more, just shop online. You can reach one of our sales representatives with any questions you may have during regular business hours Monday through Friday. For more information, just call us toll free at 1-888-988-2537.